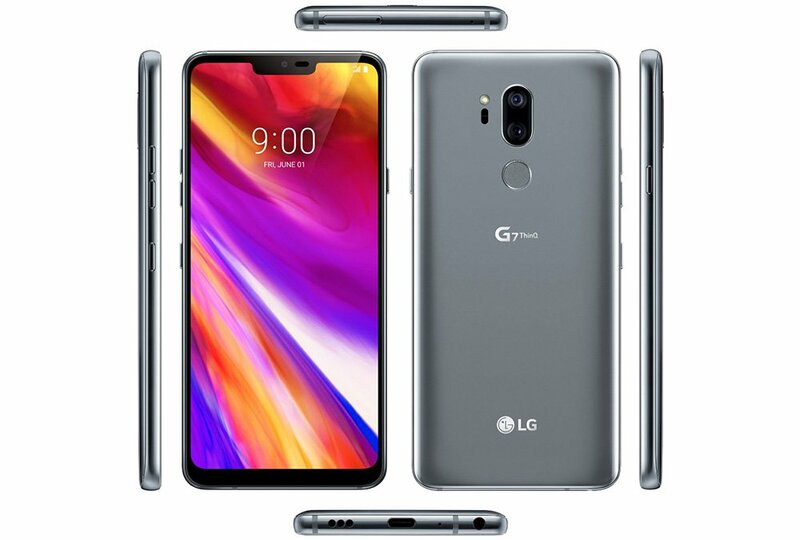 LG is going to announce their newest flagship device on May 2 which will be the G7 ThinQ. Before that happens, though, the rumor mill is working tirelessly to ruin every bit of surprise it can. Today, serial leaker Evan Blass (@evleaks) took to Twitter to publish a new image of the upcoming LG G7 ThinQ, this time revealing the handset from all of the important angles. We get a clear look at the front and back, where the display notch is and the dual camera setup/fingerprint reader are positioned, respectively. We also get a look at the top, bottom, and both sides of the handset. The interesting thing to note here, other than the inclusion of the notch, is that there is indeed a physical button beneath the volume rocker on the left side of the phone. Rumors suggest that button is going to be a dedicated piece of hardware to call up Google Assistant, a feature similar to the Bixby button on some Samsung-branded smartphones. It looks like the G7 ThinQ is going to boast a 3.5mm headphone jack, too. What do you think of the LG G7 ThinQ? Are you planning on this being your next daily driver?